The Business Incubators and Accelerators Company (BIAC), a subsidiary of Saudi Technology Development and Investment Company (Taqnia), wholly-owned by the Public Investment Fund (PIF), has joined forces with VentureSouq (VSQ), a pan-regional investment platform, to launch a new investment services vertical within BIAC that is designed to bridge the funding gaps of promising startups in Saudi Arabia. As a leading Saudi company specialised in the establishment, operation and management of business incubators and accelerators; BIAC will play a new active role in catalyzing the entrepreneurial Saudi ecosystem through direct investments in high growth Saudi tech startups and will help to bring other investors into funding rounds. Despite ample availability of capital, BIAC has identified funding access as a definitive pain point for technology companies based in or focused on Saudi Arabia, said a statement from the company. Under the agreement, BIAC’s investment team will play a leading role in funding rounds being undertaken by high growth Saudi companies with the aim to be an enabler, allowing multiple investors to come together as stakeholders in these companies. BIAC has already made five investments with four more to be announced in the coming weeks. The company will also be investing in other joint ventures with more mature technology companies that are bringing a significant proportion of their supply chain to Saudi Arabia, it stated. 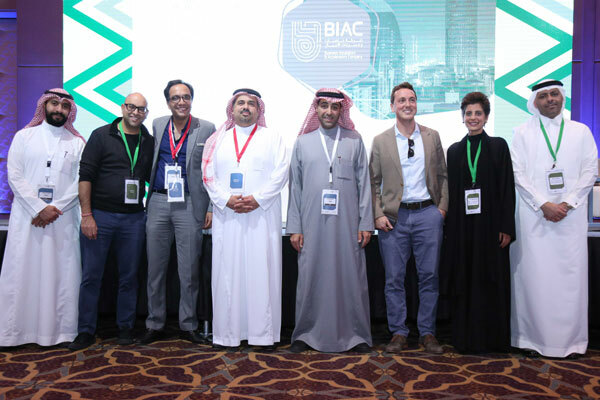 BIAC Company CEO Nawaf Al Sahhaf said: "We see strong potential in the Saudi tech ecosystem as a number of dynamic, founder-led companies seek funding and support from committed partners." "Our new solutions take us a step closer in bridging the funding gaps for promising startups in tune with Saudi Arabia’s effort to support the growth of its small and medium-sized enterprise (SME) sector and the country’s research and development (R&D) ecosystem, in alignment with the Vision 2030 economic transformation programme," he added. VSQ's Saudi partner Maan Eshgi said: "Saudi is one of the most important markets in the region. Our work with BIAC puts us in the strongest position to have a meaningful impact on the local ecosystem in order to catalyze the investor base, facilitate knowledge transfer and provide a boost to the local SME sector." VSQ is a Gulf-based venture investing platform that strives to democratise capital by enabling individuals and institutions to invest into high-growth technology companies globally.